← Vets and Their Pets Garage Sale raises over $7,000! PHOENIX – Over the past couple of years, FOX 10 has reported many stories about people having money troubles. Recently, we met a Vietnam veteran who literally wound up living on the street. He said he was falling “through the cracks” of the system with no one to help him — no one to help, that is, except man’s best friend. Gary Owens has a very special relationship with his dog, Libby. Owens said it was like love at first sight when he met Libby a couple of years ago, and he said she has paid him back in full — and then some. “I’ve helped her, and she’s helped me, and she’s helped me more than I’ve helped her,” Owens said. Last summer, Owens fell on hard times and wound up losing his home. His first concern was for his dog. “I ended up on the streets, and I had a hard time with her in my truck, and it was hot, and I had to find her a place,” Owens said. Owens, a Navy veteran who served during the Vietnam era, turned to the Veterans Administration for help. But Libby was an issue. No shelters will take a homeless person and their animal. He found out about Valley Dogs Rescue. A not-for-profit group, Valley Dogs usually finds people to adopt dogs. But in Owens’ case, they were able to find a foster home for Libby until he found a place to live. It took a month, but with help from the VA and other social service agencies, Owens got an apartment in Mesa. Libby was reunited with her buddy, but sadly, that’s not end of the story. “I got her back, and on the 3rd of December, I got hit by a car,” Owens said. He was hit while crossing a street near home, and his right leg was shattered. But even while he lay injured on the street, his first thoughts were of Libby. “I wasn’t going to go to the hospital until she was taken care of,” Owens said. Again, it was Valley Dogs Rescue that came to the rescue. While Owens was hospitalized, they had another foster family take care of Libby. But Libby wasn’t happy with the situation. And the help didn’t stop there. “I had nothing to come home with. I had one shoe. Everything else was cut up. The Valley Rescue people came through and got me some clothes. I took care of Libby again,” Owens said. In January, Owens was finally released from the hospital, but despite ongoing physical therapy, he still can’t walk on his own. That means he still can’t take care of Libby, or work, or even get around in his apartment. And Owens is not alone. The VA estimates there are at least 2,000 homeless veterans in the Phoenix metro area, and more than 300 of them can’t get into transitional homes or shelters because they have dogs. “Basically, vets are given the option of either giving up their best friend or being out in the streets,” Young said. And that’s a big issue, because for many homeless vets, their dog is the only positive constant in their lives. “There are many veterans their only support system is their animal and that’s their loved one. We have so many veterans that live in their cars because they have pets,” Young said. “If that’s what you got going for you, that’s what you got going. If you have nobody else, and you got your dog, your dog is going to save your life — which she saved mine,” Owens said. 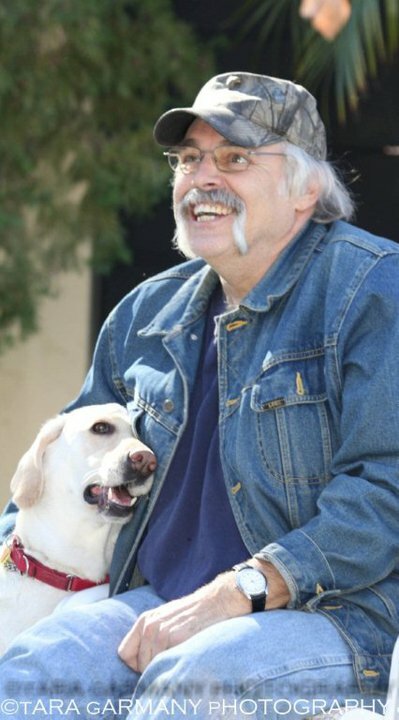 With Valley Dogs Rescue leading the way, along with other groups like the VA and the Madison Street Veterans Association, Owens is getting financial help for basics like food, rent, furniture and clothes –until he literally gets back on his feet. And Libby’s foster mom brings her over to visit twice a week. For the proud veteran, there’s no doubt that his dog is man’s best friend. “And if it wouldn’t have been for her, I would have fell right through the cracks, and nobody would have know nothing,” Owens said. The folks at Valley Dogs Rescue Arizona have set up a fund to help called Vets and Their Pets. The goal is to do all they can to help veterans like Owens. http://www.valleydogs.org/ & www.veteransandtheirpets.org Valley Dogs is a 501(c)(3) non-profit (EIN: 26-0896950), no-kill animal rescue organization who's mission is to rescue dogs that have been abandoned, neglected, or otherwise placed in harm's way; to provide temporary housing for adoptable dogs, and to promote and encourage the responsible care of pets, especially spaying or neutering, micro-chipping and vaccination of dogs and puppies. Veterans and Their Petssm is a branch of Valley Dogs Rescue, a 501(c)(3) non-profit (EIN:26-0896950), no-kill animal rescue organization. Our focus is to support for the animals of Veterans in need by providing veterinary care, temporary housing and food. We are based in Phoenix Arizona and are working with the Veterans Association and Veterans support organizations to identify those in need throughout the Phoenix area. We are coordinating support from other non-profit organizations that will also be providing food and other services to the Veterans animals. We are seeking support from others to help us with community outreach, transportation and foster care for a Veterans animal. We have over 40 years of combined rescue experience and knowledge. This entry was posted in Gary & Libby, Helping Others, Vets and Their Pets. Bookmark the permalink.